Banks are often seen in the forefront of any risk management discussion and it is often perceived that Risk Management is synonymous with Banking. But this is not entirely true. It is true that Banks have developed the most advanced techniques and technologies for measuring and managing risks, mainly financial risks. But this is largely because of the regulatory compliance and the capital adequacy requirements. Further, Banks have the responsibilities of a large number of customers and the society in general. The risk horizon for corporates, however, is not small. Corporates need to address the issues of earnings volatility, corporate governance, cross border risks, FX risks, operational risk, liquidity risk, vendor risk etc. Although corporates typically do not have an active trading portfolio that is monitored daily, most of their daily activities subject the corporate to various key risks. Therefore, it is prudent that corporates have risk management systems that provide timely information. Corporate’s top most priority of increasing shareholder value or enhancing (Economic Value Added) EVA is subject to the following top risks. Business risks are typically the type of risks that result from the core competencies of the corporate. The board decides which risks can be avoided or explicitly taken by making strategic business decisions. Taking financial risks is generally not the core competence of a corporate but managing it is of vital importance, and this is the responsibility of the CFO and corporate treasurer. 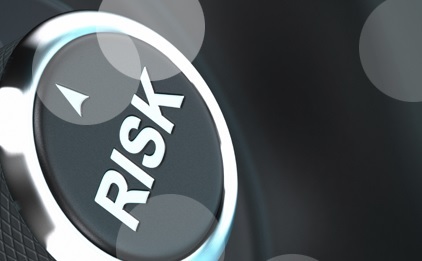 Operational risks is prevalent in all organisations including corporates. These risks are often procedure and internal control related issues but also include legal risk, frauds, compliance risk etc. Insurance is a very crucial aspect of operational risk management. Finally, reputation risk is the biggest killer for all corporates, especially the larger entities. Growth of a corporate is highly dependent upon its brand and its reputation.